How the United States protected John Demjanjuk: “A richly researched, gripping narrative about war, suffering, survival, corruption, injustice and morality” (Kirkus Reviews, starred). John “Iwan” Demjanjuk was at the center of one of history’s most complex war crimes trials. But why did it take almost sixty years for the United States to bring him to justice as a Nazi collaborator? 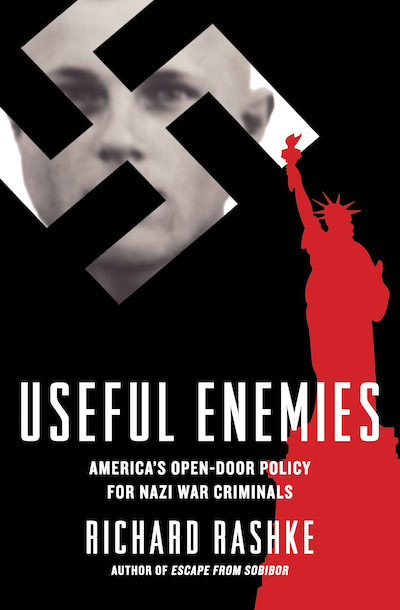 The answer lies in the annals of the Cold War, when fear and paranoia drove American politicians and the U.S. military to recruit “useful” Nazi war criminals to work for the United States in Europe as spies and saboteurs and to slip them into America through loopholes in U.S. immigration policy. During and after the war, that same immigration policy was used to prevent thousands of Jewish refugees from reaching the shores of America. The long and twisted saga of John Demjanjuk, a postwar immigrant and auto mechanic living a quiet life in Cleveland until 1977, is the final piece in the puzzle of American government deceit. The White House, the Departments of War and State, the FBI, and the CIA supported policies that harbored Nazi war criminals and actively worked to hide and shelter them from those who dared to investigate and deport them.